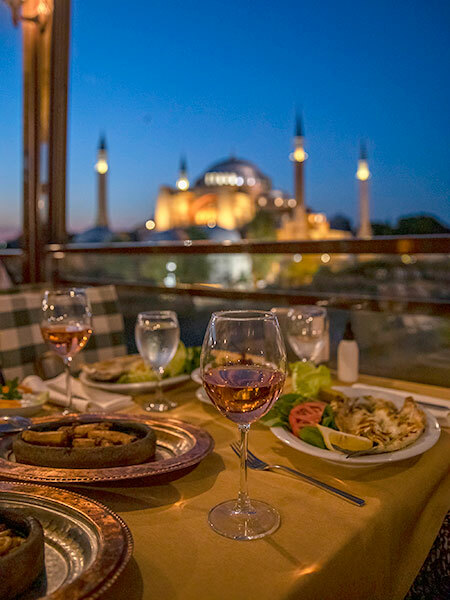 Our restaurant serves the city’s best fish brought in fresh daily from the Marmara Sea combined with the creative style of Turkish kitchen. 80 indoor and 120 outdoor capacity Seven Hills Seafood Restaurant which was featured in one of the world’s most prestigious food magazines Food & Wine, serves all year-round. 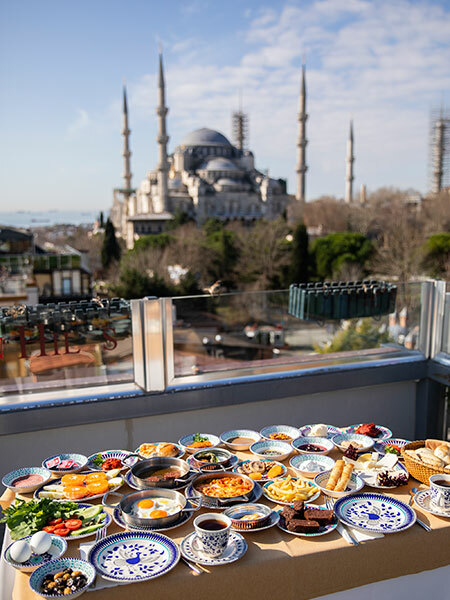 Seven Hills Restaurant features a delightful rooftop terrace with views over the Topkapi Palace, Hagia Sophia and the Blue Mosque. 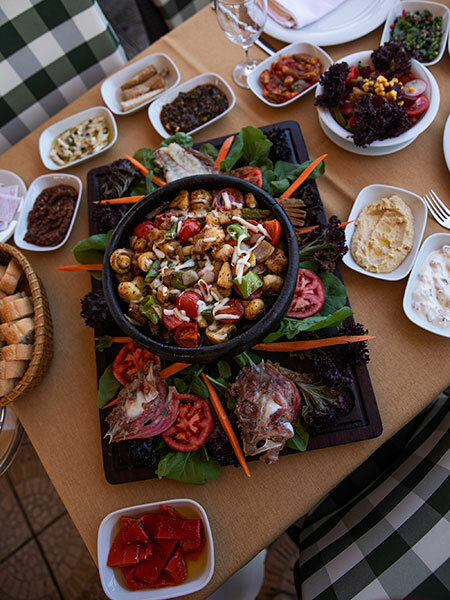 It is ideally located just 300 m from the Marmara Sea. 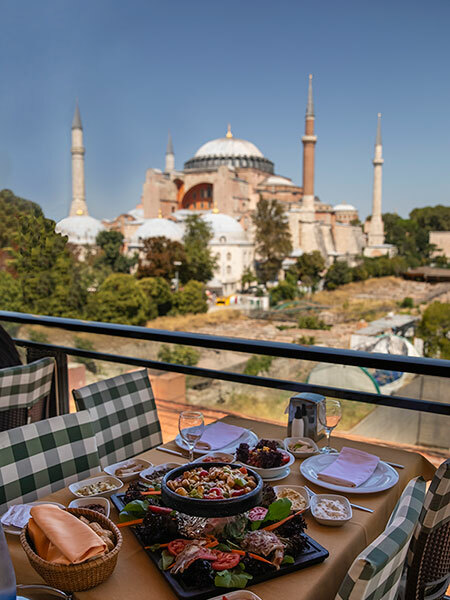 Located in Sultanahmet, Seven Hills Restaurant is steps from Sultanahmet Square and Hagia Sophia Museum. 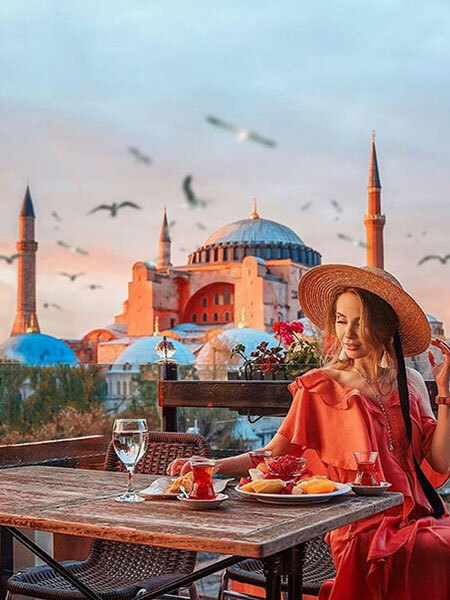 Basilica Cistern and Blue Mosque are also within 10 minutes. 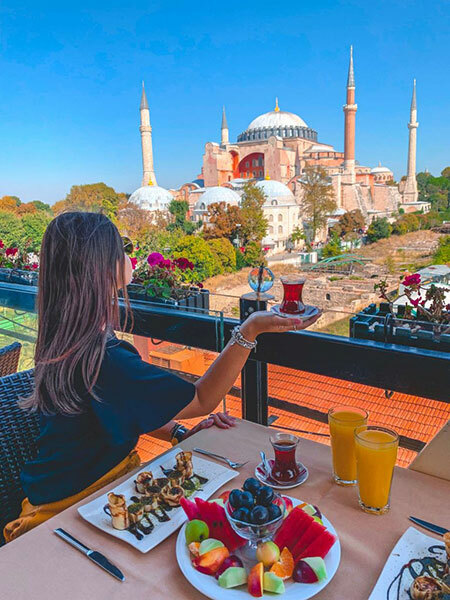 Enjoy the spectacular panoramic views to the Bosphorus, Hagia Sophia Museum and Blue Mosque on every sunrise and sunset.